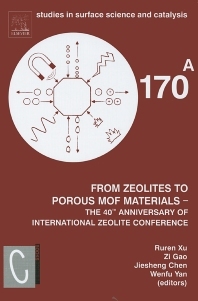 The Proceedings of the 15th International Zeolite Conference contain 291 full papers, including the full papers of 5 plenary lecture, 12 keynote lectures, and 4 invited lectures at the R. M. Barrer Symposium. The topics of these full papers include synthesis, modifications, structures, characterization, adsorption, separation and diffusion, catalysis, host-guest chemistry and advanced materials, industrial applications, theory and modeling, mesostructured materials, MOF materials, and natural zeolites. The other 271 full papers were selected from the about 1000 contributions submitted to the 15th IZC.